The decision brings us closer to a more mature society, where the conscience of various individuals is respected and human rights are guaranteed, opening the door of peace for many who were forced to choose between military service and imprisonment. The Center for Military Human Rights Korea, Minbyun Lawyers for a Democratic Society, People's Solidarity for Participatory Democracy, and World Without War welcome the court's decision, which was the culmination of a long struggle for recognition of the right to conscientious objection and the introduction of an alternative service to compulsory military service. We call for a swift introduction of an alternative service for conscientious objectors. The decision is long over-due. Too many have needlessly been imprisoned. Up until now, the conscience and pacifist beliefs of many were not recognized in South Korea, and they were subjected to criminalization. The freedom of conscience, which is enshrined in the Constitution, has been crushed by the MSA. Since the outbreak of the Korean War, when criminal punishment of the conscientious objector was first recorded in South Korea, more than 19,800 men were subjected to punishment for refusing to perform military service on grounds of conscience or religion. The time served by the objectors adds up to more than 36,000 years. People who had never harmed or robbed anyone have waited countless years for today's decision. Though it's long overdue, the decision will mark a clear shift in our society. Moreover, the decision will bring our society one step closer to the era of peace on the Korean Peninsula as declared by the leaders of North and South Korea at Panmunjom. There should be no further delay in taking the following steps. The grand bench of the Supreme Court, which is expected to convene a public hearing on the issue, should find the defendant not guilty in accordance with the Constitutional Court's decision by recognizing refusal to military service on grounds of conscientiously held beliefs as one of the "justifiable grounds" stipulated in the MSA. The Ministry of National Defense should speed up the process for the introduction of an alternative service system. Immediately after the Court's decision, the Ministry announced that it will "finalize its policy as soon as possible through the decision-making process and the legislative procedure in accordance with the decision." The National Assembly should promptly pass the amendment bills to the MSA which are pending in the relevant standing committee so that the legal grounds for alternative service could be established. As the Constitutional Court has set a time limit for appropriate legislation by the end of 2019, bills to introduce an alternative service should be deliberated at the regular session of the National Assembly in the second half of this year, so that it could be in force by 2019. The decisions of the Constitutional Court are binding upon all government agencies. In this regard, deeply rooted discrimination and criminalization against conscientious objectors must be stopped. The Military Manpower Administration should immediately stop illegitimately publishing personal information about the objectors. For objectors who had completed their sentences, the Ministry of Justice should consider granting pardon to them. Considering the reasoning of the Court's decision, more than 200 objectors who are currently held in prison are imprisoned solely for exercising their constitutional rights. The Ministry of Justice should take appropriate steps for them. In today's decision, the Court also ruled that Article 88(1) of the MSA did not violate the Constitution. The Article provides up to 3 years of imprisonment for anyone who fails to enlist without justifiable grounds, and its constitutionality had been challenged previously in 2004 and in 2011. 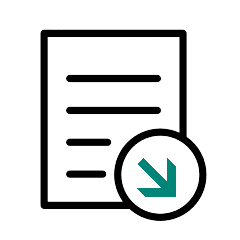 While the Court's decision on Article 5(1) of the MSA effectively enforces constitutional recognition of conscientious objection and enactment of an alternative service system, it is regrettable that the Court found the penalty clause to be constitutional. This sets a difficult impediment for the immediate remedy of the rights of conscientious objectors who are currently on trial or in prison. Nevertheless, the Judiciary and the Ministry of Justice should undertake overarching reasoning of the constitutional court's decision into consideration in ensuring the following steps including acquittal of the objectors who are on trial. 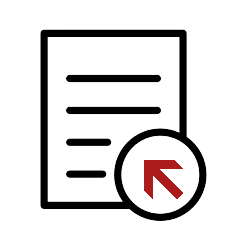 Civil society organizations in South Korea previously called on authorities to start the discussion on what constitutes reasonable alternative service system when presenting "Proposal of Civil Society Organization for the Introduction of a Reasonable Alternative Service System." In its opinion, Amnesty International South Korea, Minbyun Lawyers for a Democratic Society, People's Solidarity for Participatory Democracy, and World Without War stated that "An alternative service does not mean an exemption of military service or a privilege. It aims to serve the community by making equivalent demands of their service compared to compulsory military service, while respecting the conscience of the objectors. ", and proposed "Criteria for the Introduction of a Reasonable Alternative Service System" based on the internationally established principles. This included the following: examination of conscientious objectors and management of an alternative system should be outside the military sphere; a requirement of a much longer service time compared to compulsory military service could constitute another form of punishment; and conscientious objectors who are on active or reserve duty should be able to apply for an alternative service. The proposal also emphasized that the opinion of civil society, which includes non-governmental experts and conscientious objectors, should be reflected throughout the process of introducing an alternative service system to military service. We must put the counter-productive debate on whether to allow alternative service behind us and focus instead on what kind of alternative service system we should have. We express our sincere gratitude and respect to all lawyers, journalists, activists and conscientious objectors who have dedicated themselves in the struggle for recognition of the right to conscientious objection, the introduction of an alternative service and peace and human rights in South Korea. Conscience has won. Peace has won. Free all prisoners for peace. Center for Military Human Rights Korea, Minbyun Lawyers for a Democratic Society, People's Solidarity for Participatory Democracy. 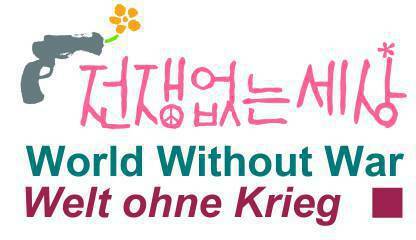 World Without War: Joint Statement welcoming the Constitutional Court Decision recognizing conscientious objection. June 28th, 2018. 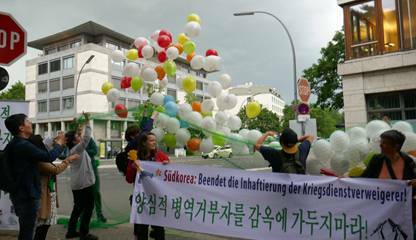 Center for Military Human Rights Korea, Minbyun Lawyers for a Democratic Society, People`s Solidarity for Participatory Democracy, World Without War: Joint Statement welcoming the Constitutional Court Decision recognizing conscientious objection. June 28, 2018.